In the UK, drinking tea or coffee is a daily ritual for most. 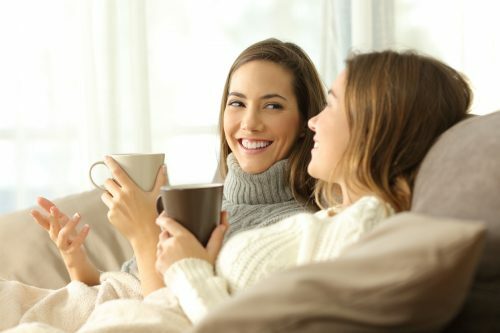 According to the British Coffee Association (BCA), 95 million cups of coffee were being consumed every single day in 2018, up from 70 million in 2008. But what has this got to do with teeth whiteness? Substances found in tea and coffee called tannins have a lot to answer for. These yellow and brown-coloured compounds stick to teeth and, unsurprisingly, cause discolouration. The more tea or coffee you drink, the more likely that your teeth are going to have a yellow or brown tinge. How can this be avoided? You could ditch the drinks all together, drink through a straw or switch from black tea to green or herbal tea. Swilling your mouth with water after consuming tea or coffee can also prevent tannins from staining your teeth! 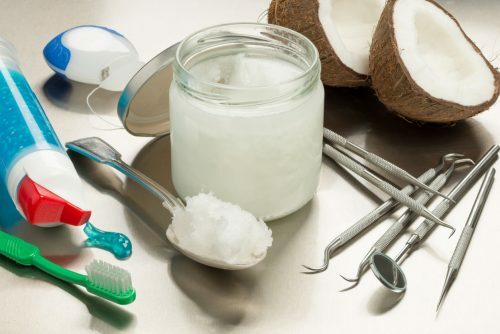 Oil pulling is the act of rinsing your mouth with the likes of coconut, sunflower or sesame oil. On an empty stomach, you are supposed to swill a tablespoon of oil round your mouth for approximately 20 to 30 minutes. Alternatively, if you find the idea quite off-putting, then putting a slather on your toothbrush and brushing with it is another option. What’s the idea behind it? Oil pulling is an ancient Indian ritual that supposedly ‘pulls’ bacteria and toxins from your mouth, whilst also increasing saliva production. 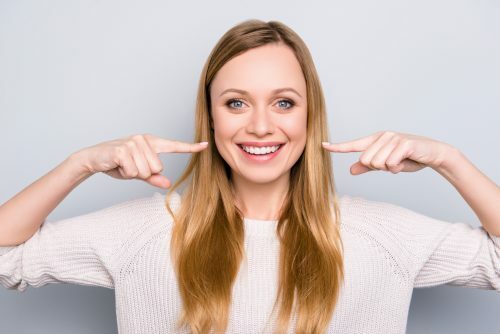 Removing bacteria and increasing the amount of saliva in your mouth could help avoid gum disease and reduce the build-up of plaque, a common cause of yellow teeth. 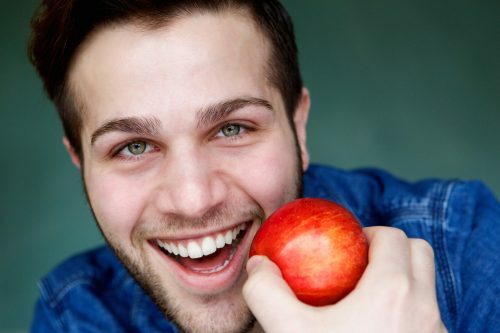 There are a few fruits rumoured to aid teeth whitening, but two that stand out are strawberries and apples. Both of these fruits contain malic acid, which naturally removes surface stains from teeth. And in a similar way to the oil pulling method, malic acid also stimulates saliva production which can reduce the amount of plaque building up on your teeth. So, what is the best way to whiten your teeth with these fruits? For apples, just simply eating them is a good method, as apples tend spread around your mouth easily. For strawberries, the best way is to mash one up, put it on your toothbrush and brush your teeth with your new, homemade toothpaste. Ripe strawberries contain the most malic acid, so make sure to pick a juicy red one. If you want a quick and easy way to brighten your smile, take a look at our teeth whitening options. We offer a “take home” bleaching tray system which means that you can whiten your teeth from the comfort of your own home. With prices starting from just £250, fill in our contact form to enquire today.